Balancing the advantages and disadvantages of organic fertilizers have been the subject of debate for nearly 100 years, with the history of the organic movement dating back to the earliest days of chemical alternatives. For most people, a careful weighing of the options will help you determine which method is best for your lawn or garden. Until early in the twentieth century, composted manure, kitchen scraps, and other organic wastes represented the only means of improving soil fertility. Organic farming and gardening were not moral or environmental choices, but simply the way of life. Organic fertilizers are an all-encompassing method that build soil structure and composition as they slowly release nutrition to the plants. Increased nutrition: Natural soil is rich in organic matter that releases nutrients at a steady rate. Increasing organic matter in agricultural soil improves the soil structure, creating more air space and water retention within the soil. Quality dirt is made up of a mix of particles and substances graded by permeability (how easily air, water and roots can move through it) - granular particles/stone, clay, sand, humus/organic matter. Organic fertilizer assists microorganisms to break down organic matter while allowing a metered release of that nutrition. Organic physical additives like stone dust - and peat or coconut hulls - create good soil with a balanced permeability. Reduced soil erosion: A higher proportion of organic material in the soil will also prevent soil erosion, helping to avoid the dust bowl effect seen in the 1930s. Soil structure is critical to root health. Too permeable soil, like sandy substrates allow too much air and water to move through quickly. Water carries nutrition with it , and quick drainage equals a faster loss of nutrients (this run-off is what damages ecosystems and waterways near industrial agricultural fields). Likewise, clay soils, because of compaction, hold too much water and very little air and "light," dusty earth is prone to the erosion witnessed during the infamous Dust Bowl. Since organic fertilizers are inherently "found" materials - like manure, vegetable scraps, aggregates, seaweed - they build soil structure as they hold and release nutrients to the plants. Healthy Ecosystem: Organic fertilizer is rooted in a complex foundation. Organic fertilizers are not used alone- they are intertwined in a gardening process that is gentler on microorganisms and earthworms living in the soil, creating a healthy ecosystem that is assisted by careful additions of physical (mulch) and nutritional (liquid seaweed) elements. Synthetic or chemical fertilizers create "burn" or bursts of ammonia, phosphorous and nitrogen that give a fast release. These fertilizers, if applied incorrectly, hinder proper fruiting and impede soil ecosystem development. Organic gardeners want to build a healthy, sustainable and environmentally beneficial farming system that becomes self-sustaining with minimal disruption. The slow and gradual release of nutrients is listed among both a pro and con of organic fertilizer use. As an advantage, the natural release of elements means that there is a reduced risk of nutrient burn from over-fertilization. This approach also means that applications of soil amendments are required less frequently, reducing operating cost and manual labor. With organic fertilizer, nutrient availability and uptake by plants occur at roughly an equal rate, meaning nutrients are preserved in soil and plant matter rather than leaching away with rainwater. The resulting plant growth occurs at a natural, healthy pace. This tends to produce stronger, more stable plants than those grown at an artificially accelerated rate, theoretically producing improved taste and nutritional value at the same time. Organic fertilizer is potentially a cheaper option than chemical alternatives. 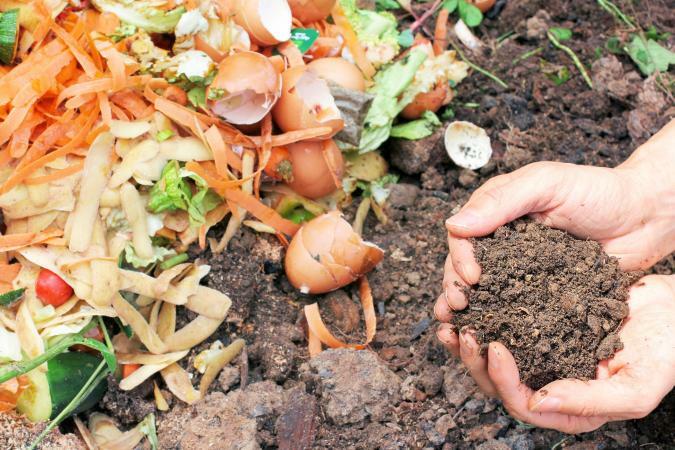 If you have a compost or live in a rural area, the only cost is time. Many farmers will sell manure by the truckload or even give it away if you are willing to pick it up. 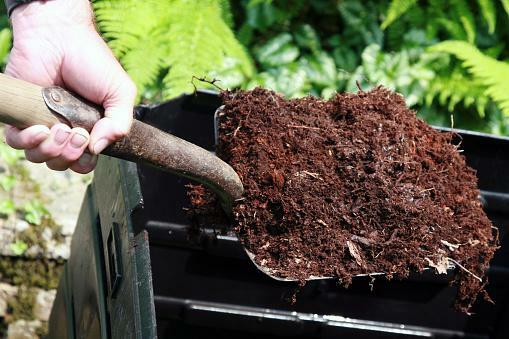 In urban and suburban neighborhoods, a composting unit can be cheap, effective, and unobtrusive. For a nominal upfront investment, even apartment dwellers can have their own organic worm bin composting system to feed a balcony garden. The combined influence of increased organic matter and reduced nutrient leaching means that elements such as nitrogen and phosphorus will end up in your plants' roots instead of the local waterways. Nutrient leaching from agriculture is a major culprit in the development of algae blooms on lakes and ponds. This process, known as eutrophication, disrupts ecosystems and renders water unfit for human use. Even organic fertilizers can impact the environment if they are not stored or used correctly (think of manure run-off into streams). Since quick release conventional fertilizer products are intended for that fast uptake - the solubility means that drainage carries extra salts off of the growing area at a higher concentration rate. These leached elements enter water supplies as contaminants. Retained chemical fertilizers negatively affect the soil ecosystem creating issues with soil acidification, compaction (or soil crumb), and a systematic destruction of the delicate microflora. Over-use of chemical fertilizers will slowly "kill" off a healthy soil structure. Always do a soil test before adding any compounds to your garden. Soil testing is easy - simply gather your sample according to the kit's directions and send the sample off. After the initial test, you can retest annually if needed, or every few years. Limited nutrient availability: The slow-and-steady approach that makes organic fertilizer perfect for most applications can pose a problem in certain situations. Organic fertilizers are bound into their structures - this is what allows for the slow break-down. The release of nutrients from organic fertilizers can be dependent on both climate and the presence of microorganisms in the soil. Damaged soils may lack the necessary biological conditions for effective composting. Severely nutrient-deprived plants needing a boost might do better initially with a readily available nutrient mixture in a liquid form. Labor-intensive: Organic fertilizers can be bulky, messy materials. Some would argue that working with organic fertilizer is a labor of love, but turning compost piles, moving manure, and spreading solid fertilizer are not for everyone. This also means that applying fertilizer on a large scale can be more difficult, as heavy manure or blood meal granules are less suitable for mechanical spreaders. Potentially pathogenic: Incomplete composting can leave certain pathogens in the organic matter. These pathogens can enter the water system or the food crops, causing human health and environmental problems. Expensive: Commercial organic fertilizers are often more expensive per unit than comparable chemical products. The negative aspects of manufactured fertilizer can be mitigated and reversed by careful soil testing. Add lime and compost to soils that have been treated with fertilizers. Plant health is negatively affected by the salts and acidification of too much (or too long) use of chemical products, since they can kill off the bacteria and fungal organisms that boost roost health. Mycorrhizal fungi coexist with a plant's root structure (the roots feed the fungi) and the mycorrhizae boost the plant's health by stimulating its immune system and assisting in its nutrient and water uptake. Depending on your situation, you will likely come up with a workable balance. 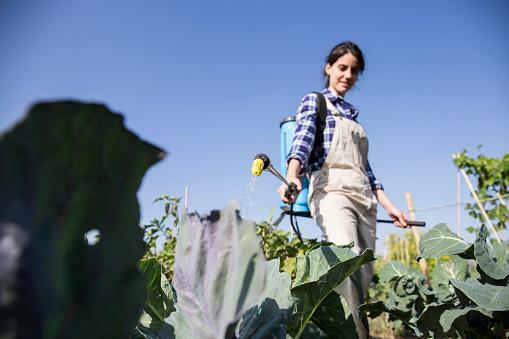 Cost, convenience or the physical aspects of handling organic fertilizer, might be a determining factor for some, while the environmental and safety benefits for you and the soil will need to be factored into the process. Whatever you decide, familiarize yourself with soil health and run additional soil tests every few years. Applying the minimum amount of fertilizer (organic or chemical) necessary, and only doing so at the optimal time, will offer the best overall return for your time, money, and labor.